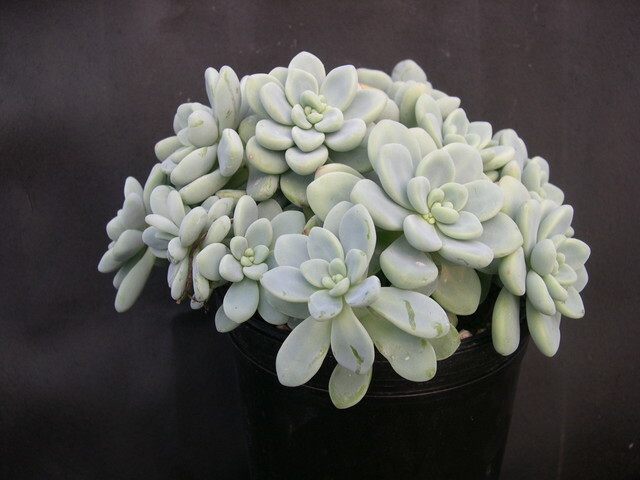 Beautiful powdery blue-gray rosettes of foliage. Large white flower clusters on stems that seem to come out laterally from between older leaves. Holds on to older leaves nicely. Tender.